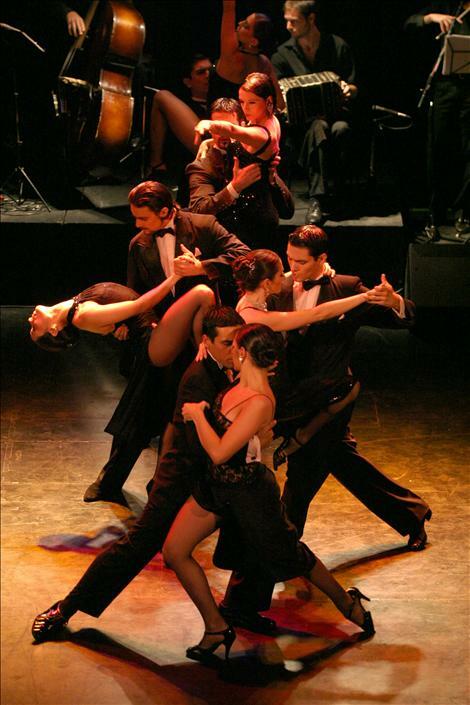 All what's unmissable, lunch & Tango included! 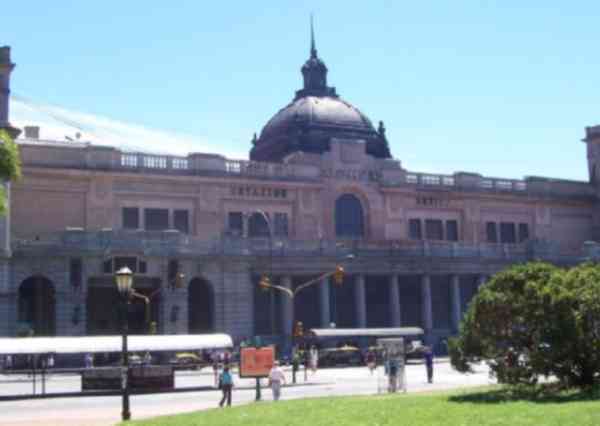 •et; Description: A pleasant, multi-neighbourhood, all 'must-see' highlights visit with lunch break in Recoleta (at the famous La Biela Cafe, with your choice of lunch), visits by car and walks to most relevant neighbourhoods (La Boca, San Telmo, Recoleta, Palermo, etc.) and ending the day with the best Tango Show and 'you-choose' Dinner at Piazzolla Tango (pics below) to wrap an unforgettable day. All costs included (no hidden costs)! Scroll down (and down, and down!) for extensive detail about this tour! 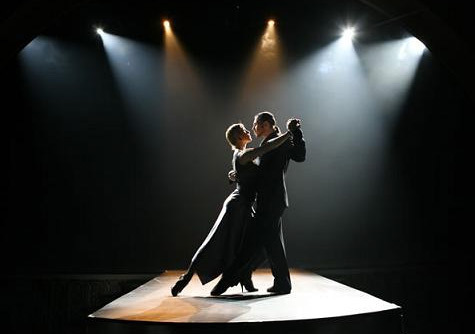 •et; Duration: Approximately 12hrs, including Tango Night Show--we'll take you back. 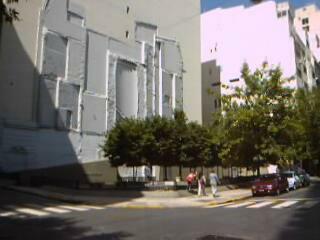 •et; Meet: Hotel pickup and dropoff is included at all downtown hotels. 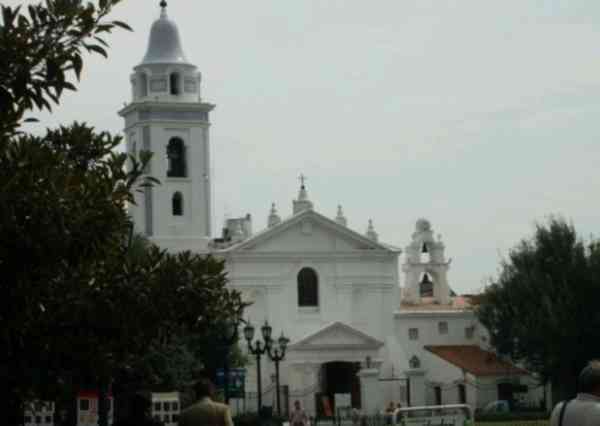 •et; Note: This is a fun and comprehensive walking tour in English (Spanish and other languages may be available) with some segments covered by car. It was specifically designed by our guides for culture-immersion-thirsty, no-nonsense, savvy travelers. 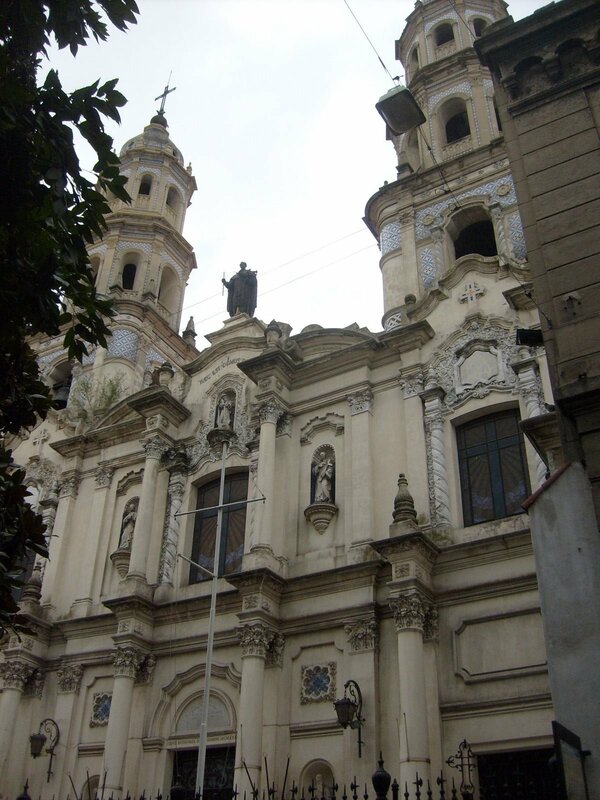 It includes over 80 main city landmarks and lots of stories and explanations as well as off-the-beaten-track portions of the Historical Downtown, Recoleta, Palermo, Barrio Norte and La Boca neighbourhoods. 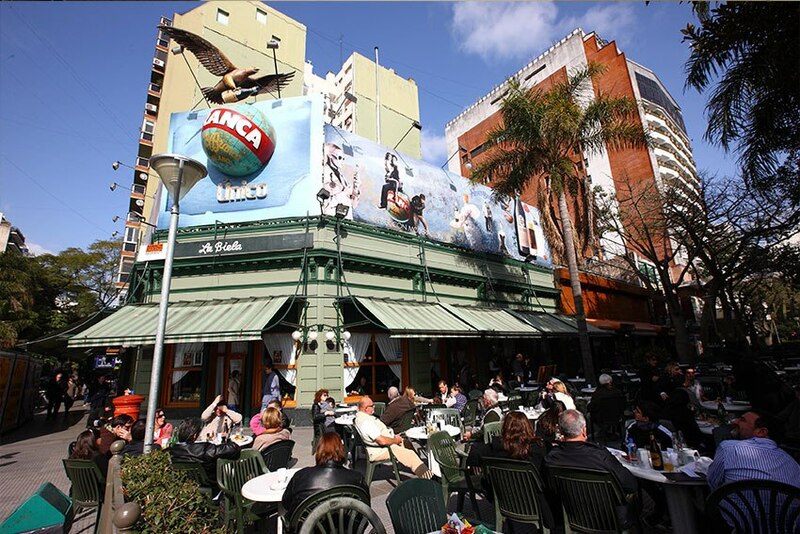 Delicious lunch (you choose from menu) at famous "La Biela Cafe" (top picture) in elegant Recoleta and full Tango Dinner-Show at 'Piazzolla Tango' (picture) are ALL INCLUDED (all meals, drinks, transportation, venues, etc. along the visit are included--no need to handle money). 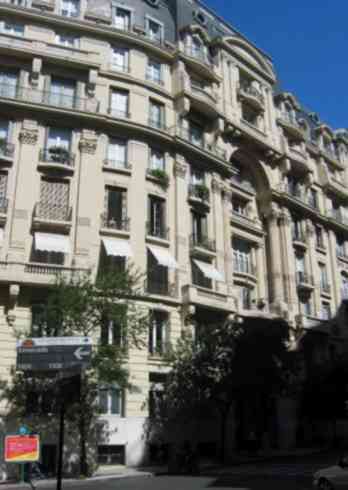 If you have a few more hours to spare in BA, we recommend that you also do our “Buenos Aires Neighborhoods” tour next day. 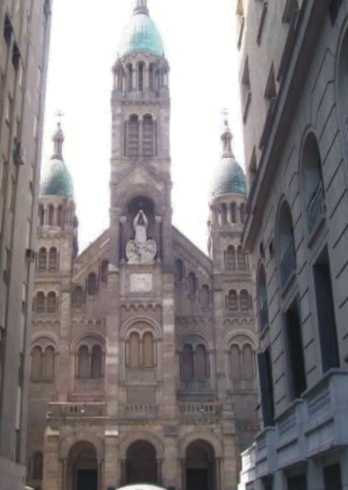 These are unique walking tours that --once you know your bearings-- explore the hidden gems of Buenos Aires while visiting two different neighborhoods that you will not find in guidebooks. 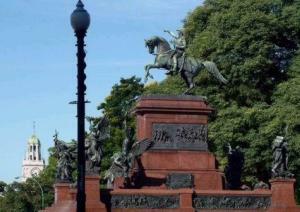 It includes uncommonly visited city landmarks that deviate from your typical tourist locations. 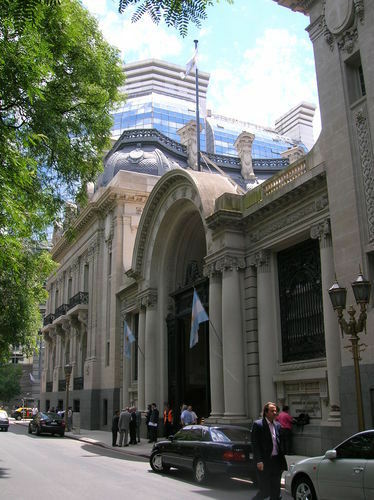 Because we enter many of the buildings that we visit you will get an extra personal experience of each place that you don’t get with our BA in a day walk. 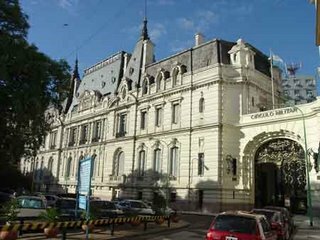 With this tour you will be able to leave the city with the feeling that you have fully experienced Buenos Aires to the max. 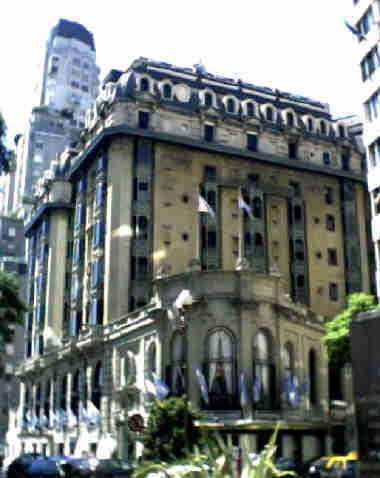 After this enjoyable 'All Inclusive One Day Tour of Buenos Aires' walk you will understand Buenos Aires (and Argentina!!) much better. Though it is not a strenuous walk, it is intense though, and to see all these landmarks we do need to keep a pace--or else cover a bit less: you decide on-the-fly as we go. 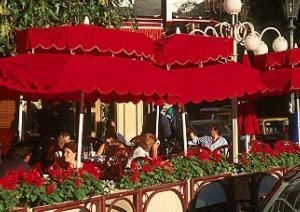 Full itinerary will be covered depending on time and circumstances at time of tour. We'll stop for coffee, snacks or refreshments as often as you like along the walk, at emblematic cafes of cultural or historical value, all included, no hidden costs. 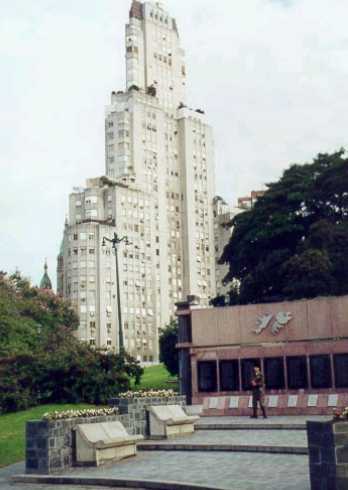 Florida & Plaza San Martin park area: the flamboyant areas that that gave us the denomination of 'The Paris of the South'. 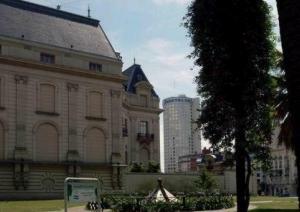 Magnificent buildings, palaces and stories. 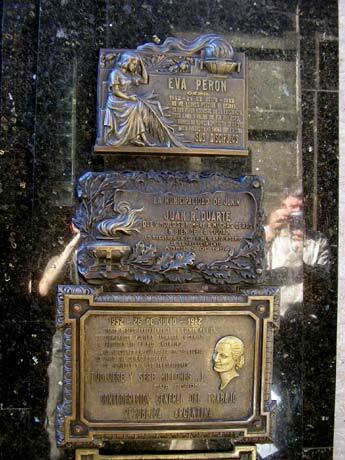 Famous Recoleta & Palermo neighbourhoods, where we visit and explain the world famous Recoleta Cemetery--including all about famous Evita Peron, Eugenia Cambaceres, Tiburcia Dominguez and much more. 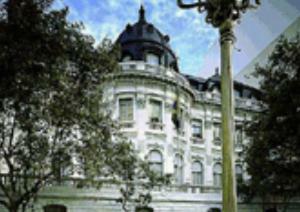 Stop for delicious Argentine lunch options at famous 'La Biela' cafe in elegant Recoleta (included). 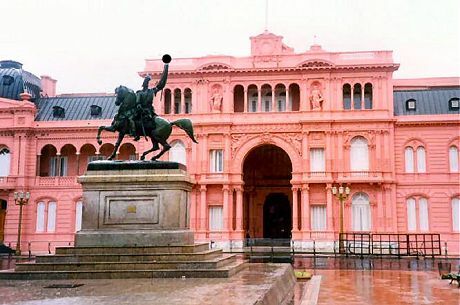 Historical downtown and Plaza de Mayo visit (Pope Francis Cathedral, Cabildo/City Hall, Presidential Casa Rosada Pink House, Puerto Madero, Path of the Mothers of the Dissappeared, etc.). 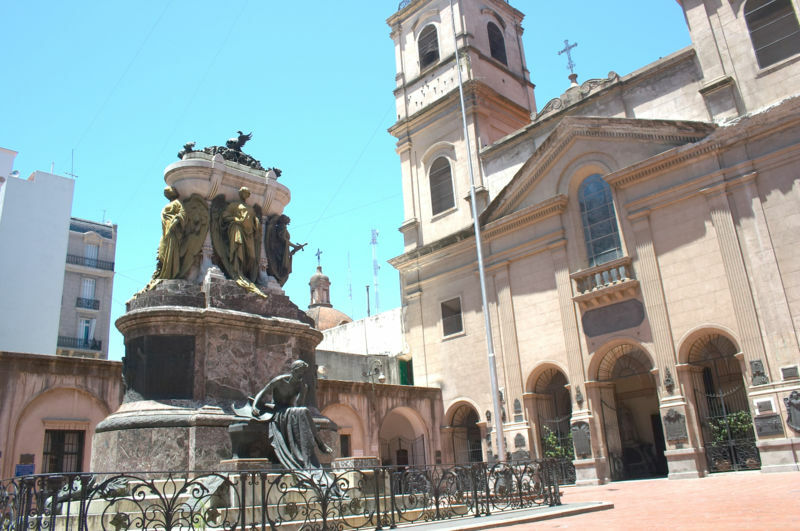 San Telmo, the picturesque, earliest neighbourhood in BA: Old Slave Market, Defensa Street, oldest shops and buildings Plaza Dorrego Antiques market, Colonial churches, Vicerroy's House, etc. 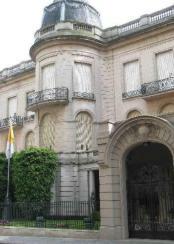 La Boca. 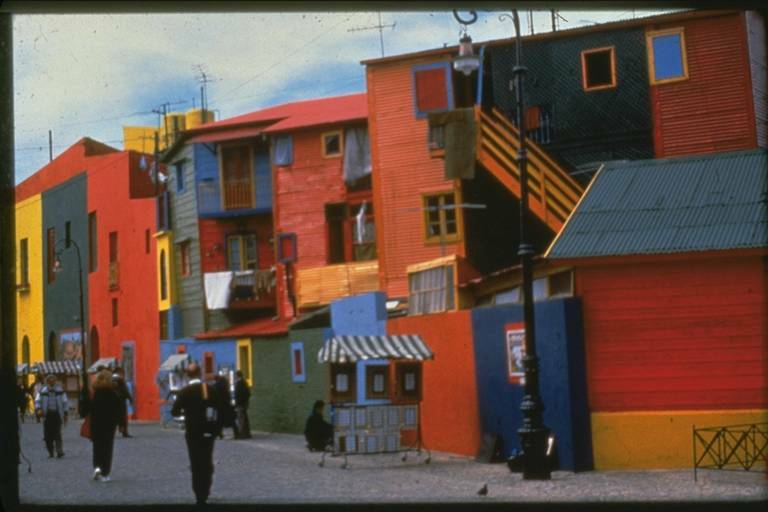 We visit the famously colourful and picturesque port of 'La Boca', birthplace of Tango (where we might see it danced on the streets! 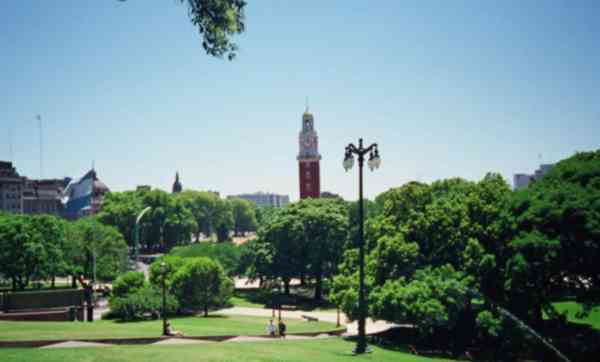 In this walking tour we will show you the main sites & landmarks (together with their stories and explanantions) Buenos Aires can offer: its originary neighbourhoods and history. 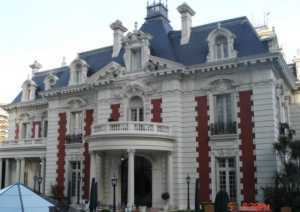 Once you are familiar with these areas you will be able to access hundreds of interesting and fun places and activities on your own and without any help. 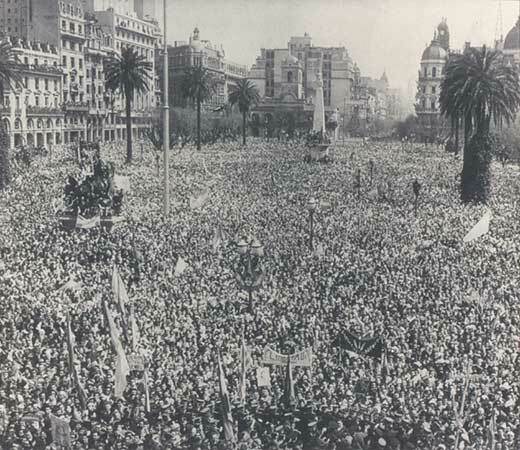 But Recoleta is not only a story of past power and glory. 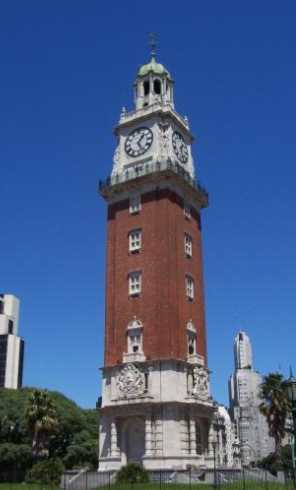 It is a place that is part of Buenos Aires everyday life. 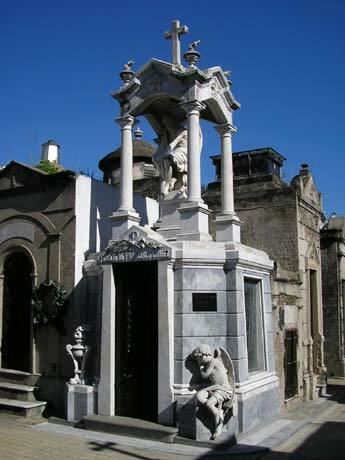 Cemetery custodians polish marble, cradle cats, chat on tomb steps and may open tomb doors for travelers who want to see an interior. (A tip is always welcome, but not mandatory.) 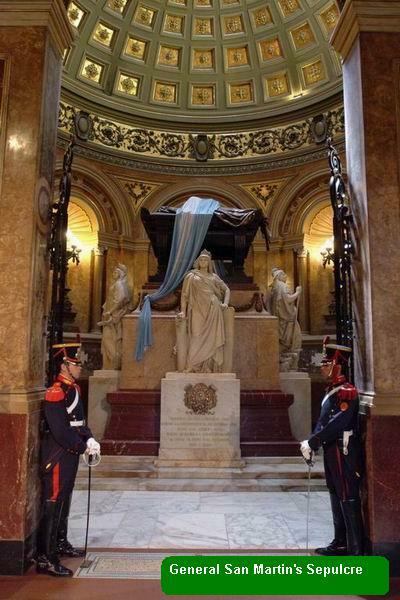 Many tombs are lovingly personal, with interiors -- visible through windows or doors -- adorned with symbolic objects and mementoes: exquisite lace cloths over a coffin, a cross encrusted with gems. 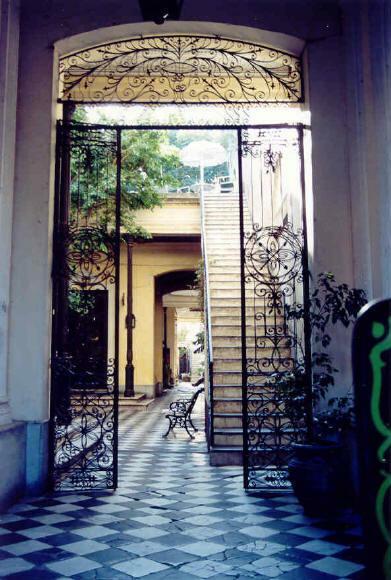 Behind one wrought-iron door there is a broken chair of carved wood and cane. 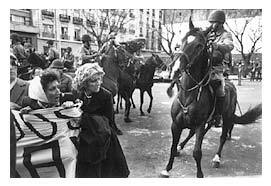 Inside another there is a black and white photograph of a beautiful woman in a white feather boa. Family, friends, admirers, patriots, visit faithfully. 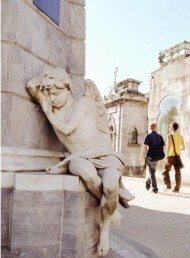 There's usually someone around, and the cemetery is especially busy on weekends. Visitors replenish flowers in vases, polish silver handles on coffins, leave messages, sit and reflect.